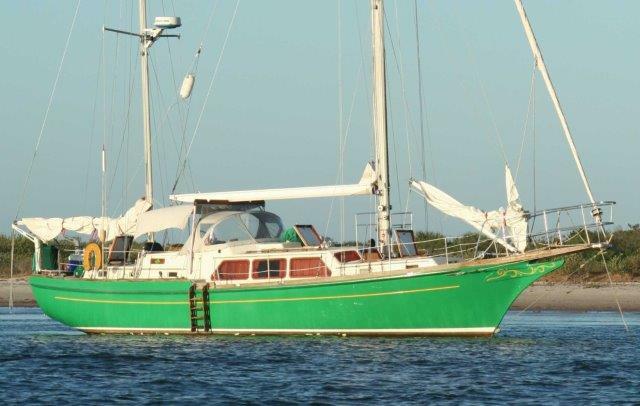 She is very well equipped with all the important gear required to enjoy the cruising lifestyle or weekend sailing. Please read through the complete listing for the full details about this truly special offering. Call Scott Duncombe cell: (954) 383-1888 or office: (954) 527-0664 for more details. Marguerite is a John Alden designed staysail ketch, built by Hodgdon Bros., and was launched at Boothbay Harbor, ME in 1974. She is a full keel with cutaway forefoot, heavy displacement, center cockpit vessel with substantial amounts of stowage and tankage for extended cruising in substantial comfort. Call George Eberhard cell: (317) 517-4666 or office: (954) 527-0664 for more details.